Arun Jaitley says cut excise was done with an aim to protect interests of common man. 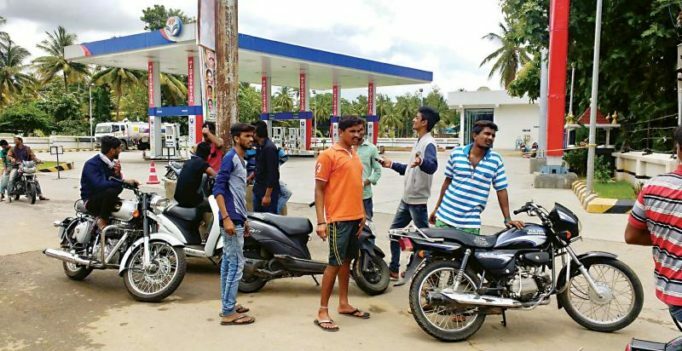 Mumbai: A day before the Reserve Bank of India, RBI, releases result of its two days monetary policy meet on October 4, the government on Tuesday slashed excise duty on essential fuels diesel and petrol by Rs 2 per litre. Finance Minister Arun Jaitley in a series of tweets announced the decision and termed the recent step pro-people and pro-common man. This decision has also been taken by the Government of India in order to protect the interest of common man, Jaitley added. The cut in excise on diesel and petrol would put an additional burden on ex-chequer as according to Jaitley the move will bring some revenue loss to the government. “Revenue loss on a/c of these reductions in excise duty is about Rs 26,000 crore in full year & Rs 13,000 crore in remaining part of Current FY,” he added. The step has been taken after taking into consideration the rising global crude oil prices and with an aim to prevent any spillover of its impact on Indian economy. “This has been done to cushion the impact of rising international prices of crude petroleum oil & petrol & diesel on their Retail Sale Prices,” the finance minister explained.